Josie's Bike Life: Let's Move [FWD] Forward! Fearless Women of Dirt otherwise known as FWD. It's a small, grassroots women's off-road group that has come to fruition in Decorah, Iowa. I dream big. I'm one easily inspired by other women who are doing great things to advocate women and cycling and I decided I wanted to be part of that. I wanted to do MY part. So enter in the Fearless Women of Dirt. A group that I'm dreaming to grow far and wide- because any woman who mountain bikes is a Fearless Woman of Dirt. I wanted to create something that had the potential of bringing more women together with a common goal: have fun mountain biking. Well, Fearless Women of Dirt is a grassroots group that is built around the concept of fostering and creating relationships with women who love to mountain bike. Fearless Women of Dirt is to be a community that everyone can and should feel welcome to join, new rider, experienced, or simply intrigued about riding off-road but wants to learn more first. Fearless Women of Dirt is to be a safe, supportive, and encouraging environment for women of all skill levels. Comradery and positivity are key ingredients that every Fearless Woman of Dirt should have. We want women to feel that even tho they are new to the sport, they have much to gain and we will be there to help them achieve their goals and celebrate their accomplishments. 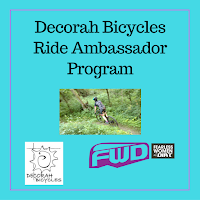 So being that Decorah Bicycles is starting a Ride Ambassador program, I felt that the Fearless Women of Dirt (FWD) group should have Ambassadors as well. The Ambassadors will be representatives of FWD- Fearless Women of Dirt and what FWD stands for. 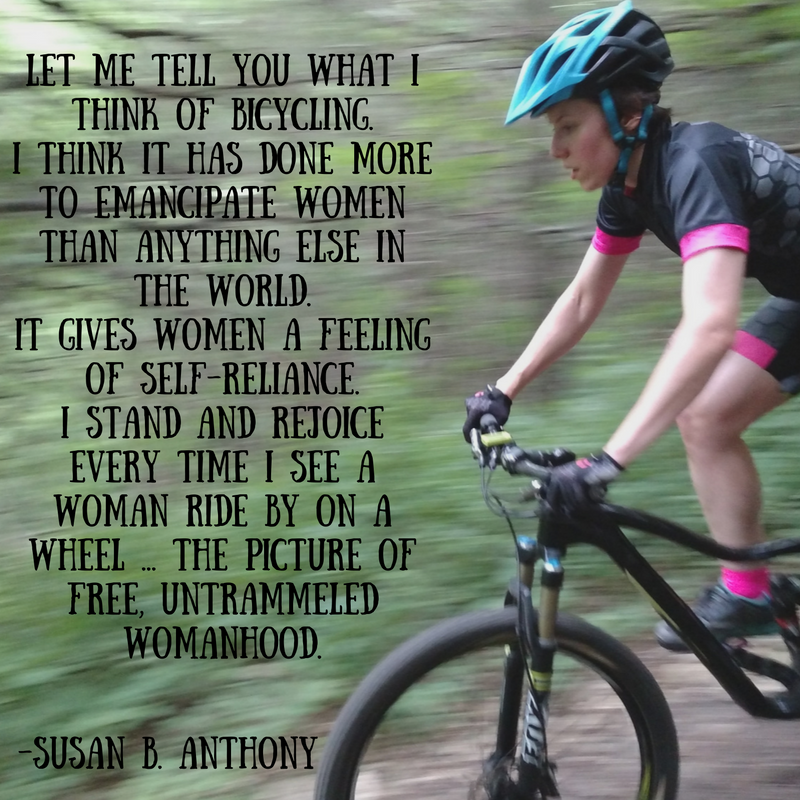 They are advocates of getting more women on bikes and are passionate about mountain biking and increasing the number of women participating in riding off-road in their communities. At this point all I can offer for the FWD Ambassador program is ongoing support, a water bottle, and FWD logos that you are welcome to utilize for promoted FWD rides. If you would like to join me in making the mountain bike community a rad place for women, fill out the form at the top right corner of my blog and tell me why you would like represent FWD in your community. 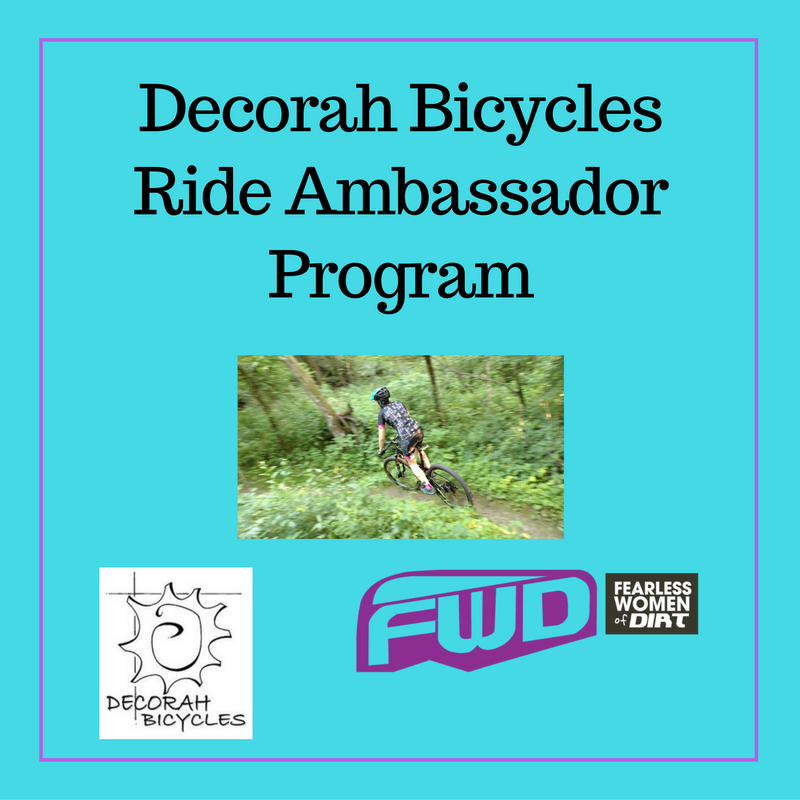 As a FWD ambassador, you are not obligated to host rides- but you are certainly welcome to! Share your rides! This can be simply a photo or maybe you would like to write a guest post on Josie's Bike Life highlighting an experience. Lastly, spread the stoke of mountain biking by being your awesome self! FWD Ambassadors will be announced in January of 2017.